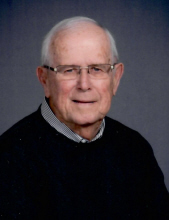 Donald E Rogers, 83, of Benton passed away Thursday April 11, 2019 at his residence at 11:30 pm. He was a member of Faith Lutheran Church in Mt.Vernon. Don worked for the Postal Service for 36 years. He rode the train sorting mail between Southern Illinois and Chicago. He was the Postmaster at Orient, Sesser, and finally at his hometown of McLeansboro. He loved to crappie fish at The Social Security Wall at Rend Lake and he supplied lots of folks with bags of fish. He was the owner of Rogers Nursery for many years. He loved to woodwork, making birdhouses, squirrel feeders and yard decorations. Cremains will be interred at Oddfellows Cemetery in Norris City at a later date. In lieu of flowers memorials may be made to SSM Health at Home Hospice of the Good Samaritan and will be accepted at the Union Funeral Home. To send flowers or a remembrance gift to the family of Donald E Rogers, please visit our Tribute Store. "Email Address" would like to share the life celebration of Donald E Rogers. Click on the "link" to go to share a favorite memory or leave a condolence message for the family.